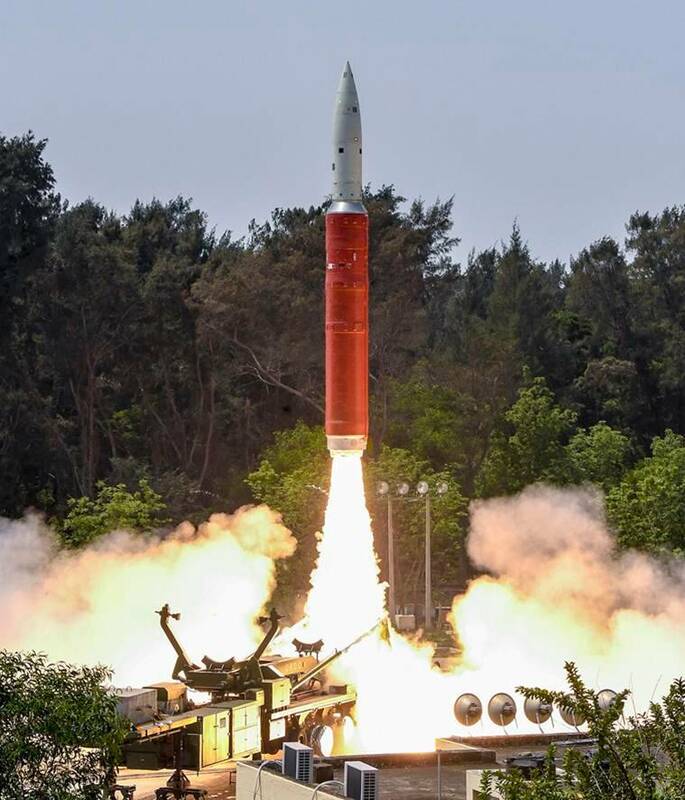 While the test places India in a select group of countries with such strategic strength, this capability has never been used by any country against its enemy and the use of space for wars is deeply abhorred by the entire international community. Making a surprise announcement shortly after noon Wednesday, Prime Minister Narendra Modi said India had successfully tested an anti-satellite missile, becoming a space power and only the fourth country after the US, Russia and China with the strategic capability to hit and destroy satellites. A Ballistic Missile Defence (BMD) Interceptor developed by the Defence Research and Development Organisation (DRDO), similar to the ones that intercept and destroy incoming missiles, was fired Wednesday morning from the Dr A P J Abdul Kalam Island launch complex, off the Odisha coast and south of Balasore. It struck an Indian satellite in low earth orbit, about 300 km from the earth’s surface. ISRO sources said the DRDO missile knocked out a micro satellite called Microsat-R which was launched by ISRO into low earth orbit for the DRDO on January 24 this year. The satellite, sources said, would have been hurtling at a speed of more than 27,000 km per hour. Given that satellites are critical infrastructure for any country, used as they are for navigation systems, communication, banking networks, stock markets, weather forecasting and a range of military and other civil applications, the ability to destroy enemy satellites is a potent capability that can cripple the enemy. The entire operation, from the launch to the hit, took just three minutes, the Prime Minister told the nation in a special televised address, calling it “an unprecedented achievement”. “Some time back (this morning), our scientists have hit a live satellite 300 km away in the low earth orbit. This was a pre-determined target which has been brought down by an anti-satellite missile. The operation was completed in three minutes. Mission Shakti was a very difficult operation in which very high quality technical capability was required,” Modi said. A DRDO statement said the BMD Interceptor was a three-stage missile with two solid rocket boosters. As is mandatory for any missile test, the authorities had issued a Notice to Airmen (NOTAM), a pre-requisite information to be provided to airline authorities around the world that India was about to conduct a test. The NOTAM did not specify the type of test being conducted, but only the flight path and the areas affected. “Tracking data from range sensors has confirmed that the mission met all its objectives. The test has demonstrated the nation’s capability to defend its assets in outer space. It is a vindication of the strength and robust nature of DRDO’s programmes,” the DRDO said. While the test places India in a select group of countries with such strategic strength, this capability has never been used by any country against its enemy and the use of space for wars is deeply abhorred by the entire international community. Though the United States and the then Soviet Union both tested anti-satellite missiles way back in the 1970s and 1980s at the height of the Cold War, they never targeted each other’s assets in space. The Outer Space Treaty of 1967, to which India is a signatory, prohibits countries from placing into orbit around the earth “any objects carrying nuclear weapons or any other kinds of weapons of mass destruction”. It also prohibits the stationing of such weapons on celestial bodies, like the moon, or in outer space. The treaty does not, however, prohibit tests like the one carried out by India Wednesday morning, something that the Ministry of External Affairs pointed to while emphasising that the test had not violated any international law. Modi too described the test as a “defensive” move, aimed at securing the country’s space infrastructure, and stressed that it did not change India’s strong opposition to weaponisation of space. “Today, we are using space and satellites for all sorts of purposes, including agriculture, defence, disaster management, communication, entertainment, weather, navigation, education, medical uses, and other things. In such a situation, the security of these satellites is extremely important,” he said. “I want to assure the international community that our newly acquired capability is not targeted at anyone. This is a defence capability of an India which is progressing at a rapid pace. India has always been opposed to weaponisation of space, and today’s test does not alter that position. Today’s test does not violate any international law or treaty,” he said. “We will only use modern technology for the security and welfare of 130 crore Indians. A strong India is necessary for the security of this region. Our strategic goal is to ensure peace and not create an environment for war,” he said. The MEA statement too said that the purpose of the test was to “safeguard” India’s own “space assets”. “The test was done to verify that India has the capability to safeguard our space assets. It is the Government of India’s responsibility to defend the country’s interests in outer space. The tests were done after we had acquired the required degree of confidence to ensure its success, and reflects the intention of the government to enhance India’s national security. India has seen an accelerated space development programme since 2014,” the statement said. The MEA said India had “no intention of entering into an arms race in outer space”. “We have always maintained that space must be used only for peaceful purposes. We are against the weaponisation of outer space and support international efforts to reinforce the safety and security of space-based assets,” it said. Former DRDO chief V K Saraswat, who is now a member of Niti Aayog, said no political motive should be ascribed to Mission Shakti. “It has given India an advantage in four dimensions of warfare which includes land, air, underwater and now space. It will have similar deterrence as nuclear tests (by the Vajpayee government) on the enemy countries,” he said.